Kaiser Optical Systems, Inc. is a world leader in spectrographic instrumentation and applied holographic technology. Principal products include Raman instrumentation and advanced holographic components for spectroscopy, astronomy, and ultra-fast sciences. 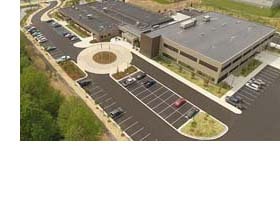 Principal offices and the manufacturing facility are located in Ann Arbor, Michigan. 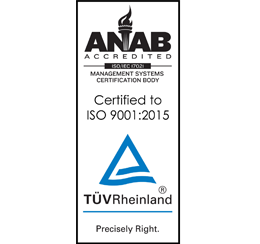 Kaiser's Quality Management System (QMS) is certified to ISO 9001:2015 standards. Copies of all Kaiser's Certifications and Declarations can be downloaded from here. In September 2017 Endress+Hauser and Kaiser employees, customers, and partners celebrated the inauguration of their newly constructed French headquarters in Lyon, France. The investment highlights the group's committment to better serve the European community, and to bring together Kaiser's Raman analytical technology with Endress+Hauser's process control technology under one roof. Kaiser was founded in 1979 and entered the spectroscopy market in 1990 with the introduction of the holographic notch filter. In 1993 Kaiser released their first Raman analyzer, the HoloProbe, which set the standard for compact fiber-coupled Raman instruments. Our products and services are now deployed throughout the world in such diverse applications as pharmaceutical and chemical manufacturing, nanotechnology, telecommunications, education, energy, forensic science, deep-sea exploration, and astronomy. From particles smaller than a human hair to objects as large as planets, our products are providing our customers unique insights into both today’s as well as “age-old” questions. The Kaiser team remains dedicated to providing innovation and global leadership in the products and services we offer. To accomplish this our employees are challenged to realize the Spirit of Endress+Hauser. Kaiser Optical Systems (Kaiser) was acquired on November 23, 2013 by the Endress+Hauser Group and operates as an independent division focused on advanced optical instrumentation based on Raman spectroscopy. Over the years, Kaiser has developed representation and distributor networks for its Raman products and the industries it serves. The Endress+Hauser Group will further enhance Kaiser’s ability to serve its customers globally for the next years and decades to come. Endress+Hauser is a global leader in measurement instrumentation, services and solutions for industrial process engineering. Endress+Hauser offers comprehensive process solutions for flow, level, pressure, analysis, temperature, recording and digital communications across a wide range of industries, optimizing processes in regards to economic efficiency, safety and environmental protection. 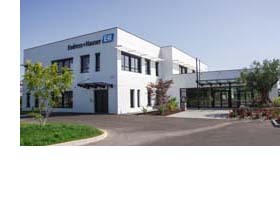 For more information about Endress+Hauser, please visit www.endress.com.